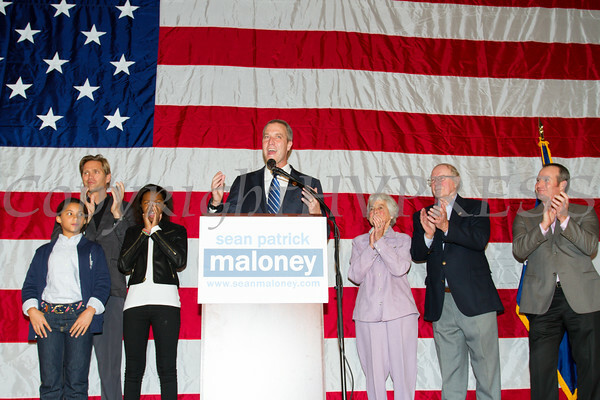 Democrat incumbent Sean Patrick Maloney thanked supporters after defeating GOP challenger Nan Hayworth to keep his US House seat in NY Congressional District 18 on Tuesday, November 4, 2014. Democrat incumbent Sean Patrick Maloney thanks supporters after defeating GOP challenger Nan Hayworth to keep his US House seat in NY Congressional District 18 on Tuesday, November 4, 2014. Hudson Valley Press/CHUCK STEWART, JR.